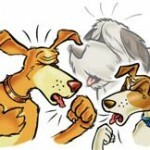 We all know that coughing is the body’s reflex to throat irritation. There are two kinds of cough – dry and productive cough. In this article, we’ll focus solely on dry cough and we’ll try to give you tips on how to cure, and look for the best medicine for dry cough. Dry cough is something that has no mucus on it, and there are a lot of causes why it occurs. It can either be because of change in temperature, dust particles, or underlying respiratory disorders like bronchitis, whooping cough, or even post nasal drip among children. When it is associated with other symptoms including fever and sweating, chest pain, sudden weight loss, etc. try to seek immediate medical attention to treat it eventually. What is the Best Medicine for Dry Cough ? Codeine – It is available in syrup like meds called codeine linctus. However, there are risks to abuse the drug that is why it is no longer common. Pholcodine – This is proven to be as effective as codeine in suppressing cough. Dextromethorphan – this one is also useful in managing problems regarding the issue. This is commonly available in liquid form. There are also instances where suppressants are combined with expectorants to both reduce coughing spells and bring up the phlegm. Mucinex is one example for this. However, there are contraindications to the use of the combined formulas which is why it is way better to talk to your health care provider before partaking into any medications.